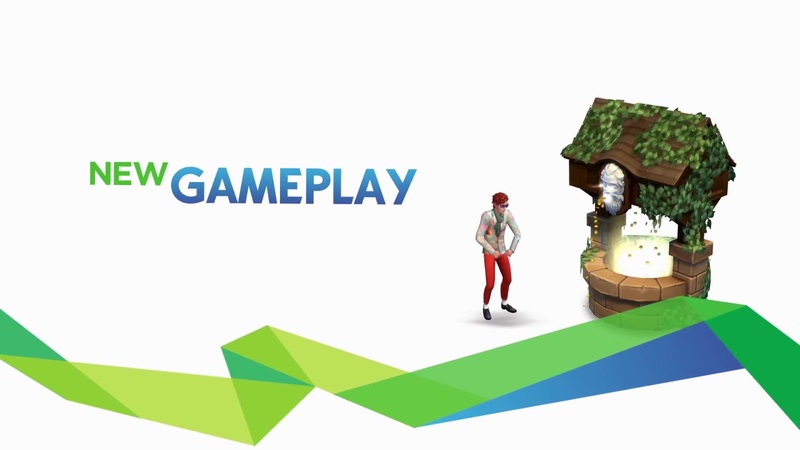 Two New Gameplay Object Type-Whispering Wishing Well and Fountain of Gluteus Maximus . 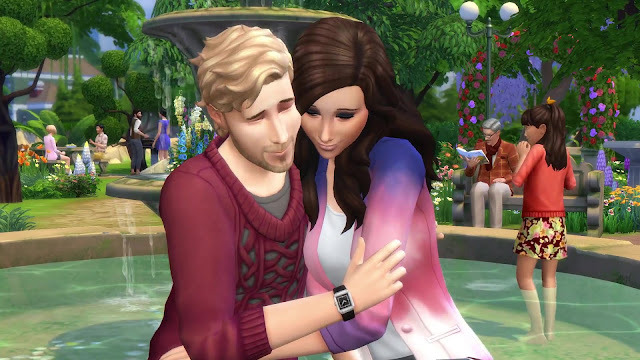 Total 9 wishes with 54 outcomes are there for Wishing Well.Your Sims can wish for Romance, Happiness, Wealth, Life, Youthful Vigor, Grades, a Promotion, a Child, and a Skill. Kids and Teen can also toss coin to make wishes in the well.Kids have their own unique wish for better grades.Teen can wish for both better grades and promotion at their part time jobs. 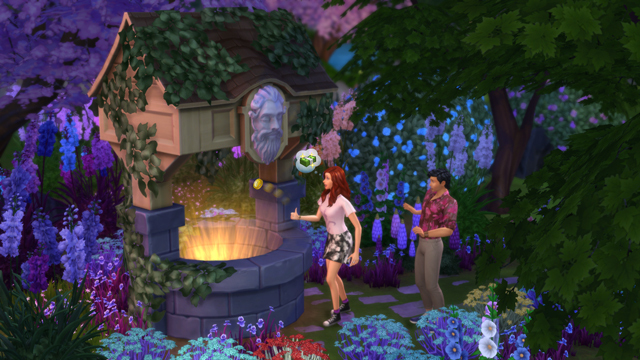 Ghost Sims can choose to wish for life for as little as §1. Aliens can use the well, but don't have a unique wish. 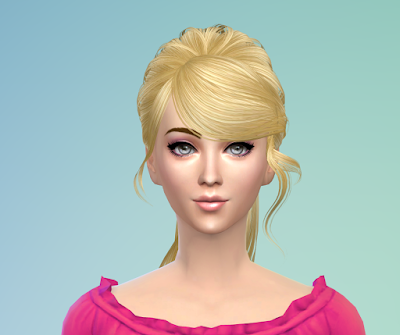 Sims are limited to three wishes per day, spread over the full 24 hours. 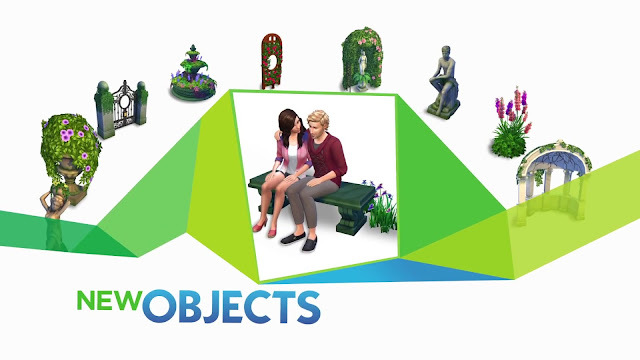 Your Sims can make use of a new Fountain of Gluteus Maximus which serves as far more than a pretty backdrop. 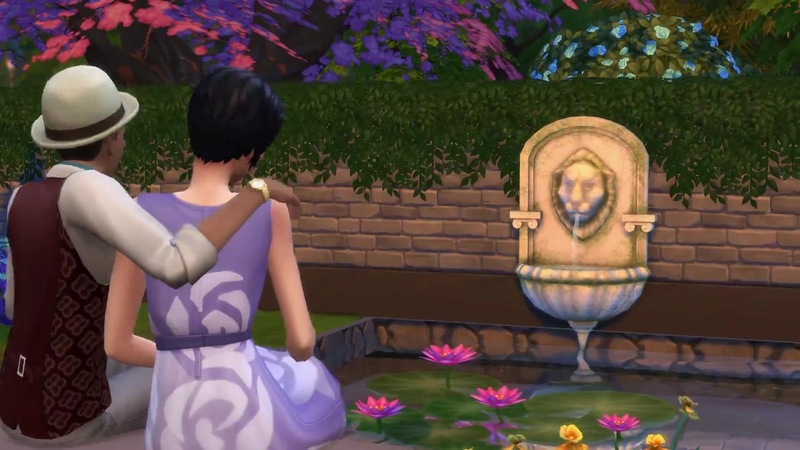 Sims can sit along the fountain’s edge and cuddle. 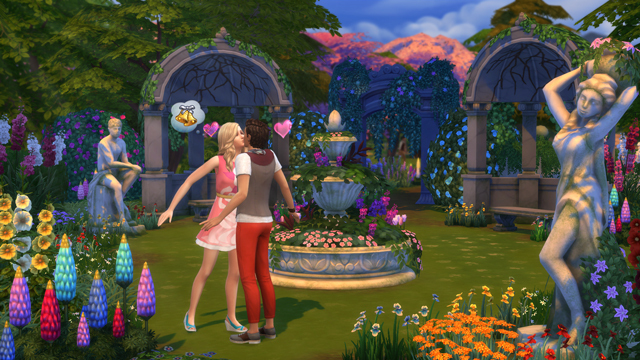 There's a playfully romantic splash Sims do while cuddling on the edge of the fountain. 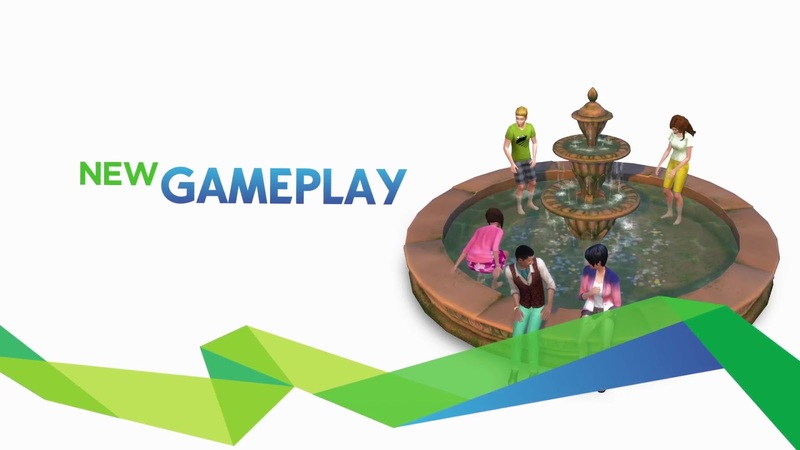 Sims can get in the fountain and splash around. Kids can also play inside the fountain. 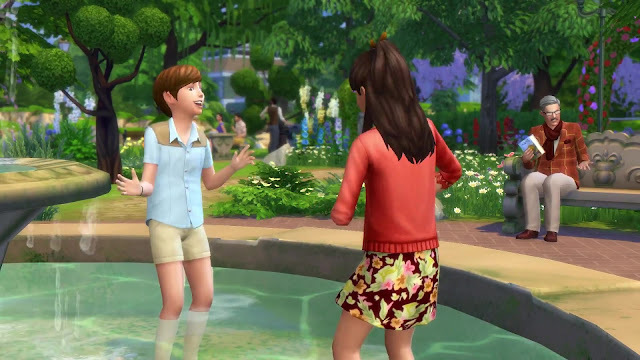 Playing in park fountains is a club rule which you can set as a preferred or banned activity for your Sims. 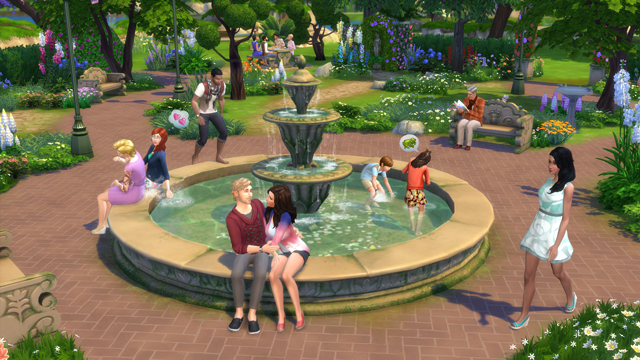 If feeling particularly mischievous, Sims can go as far as adding soap to the fountain and enjoy watching the water churn into a froth of bubbles. 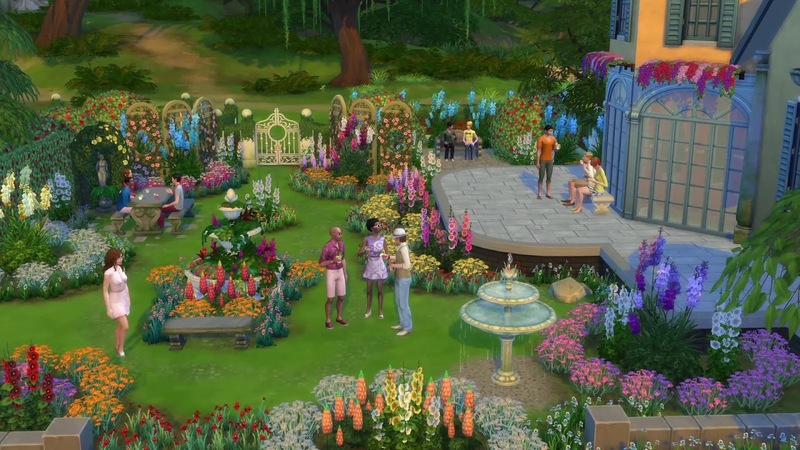 The Stuff Pack has a mixture of flowery flora and marble furnishings that enable you to build new styles of parks, or to revitalize your home’s yard. A Baroque radio station includes a lovely melody of music inspired by the 1600s to set the mood. 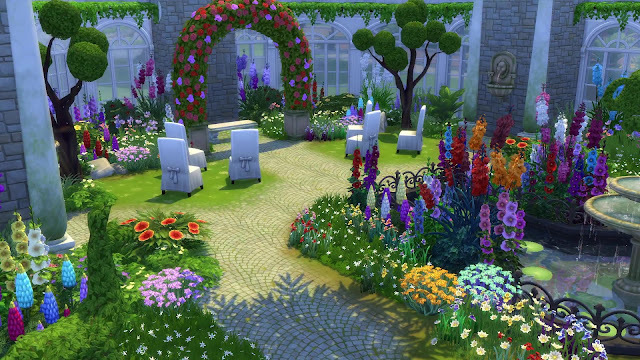 All of these items and more empower you to create lush landscapes for romantic moments like dates, proposals, and weddings – or simply to enjoy a lovely afternoon outdoors. 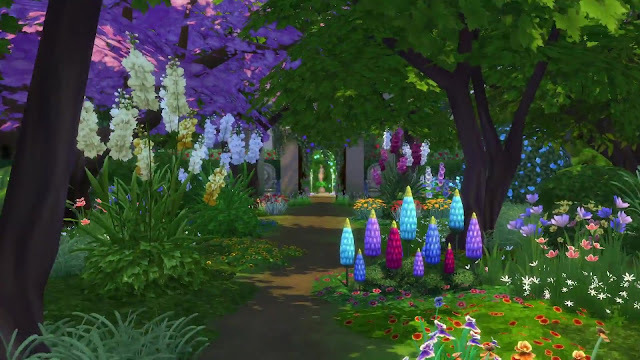 No Wedding Arch is in the Stuff Pack.The arch shown in the above picture taken from the trailer is not a Wedding Arch rather a wider and beautiful arch to go across walking paths. There is a new park venue coming with this Stuff Pack called The Lost Gardens of Healing.Though it's not the one shown in the trailer,but it's a gorgeous lot sized 40x30. 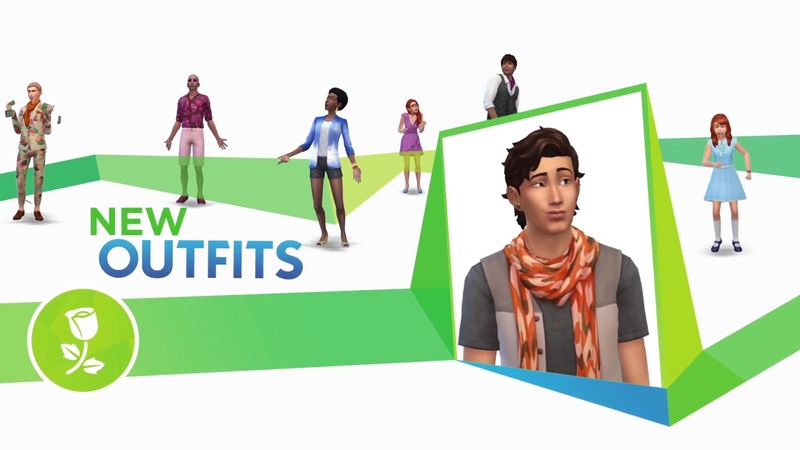 New modern floral fashion and hairstyles will help you give your Sims a proper spring makeover.